After a four-year stint with Scotiabank earlier in his career, Cameron Wilson really found his feet upon joining RBC Wealth Management in 2010. Today he presides over the Wilson Wealth Management team at Canada’s largest bank, specializing in tax-efficient investment strategies and estate planning for his clients. Based in Abbotsford, BC, Wilson commits a great deal of time and effort to improving his knowledge and skill set in the investment space. 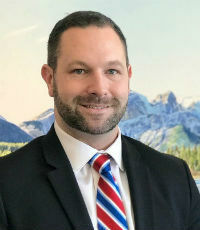 Not only has he obtained CIM, CPCA, FCSI and CIWM designations, but he also completed the CSA’s Futures Licensing Course in 2014, offering his clients more options when it comes to their investment strategies.